If you’ve spent at least one year in Minnesota, then you know that winter is our longest season. Even in the month of May, we may see a few flurries here and there. And in November, just as we start to enjoy the rich colors of fall and the smell of pumpkin pie, we can find ourselves buried beneath deep, deep snow. Unless you own a truck with a plow, clearing all of that heavy snow off of your driveway can be hard work. 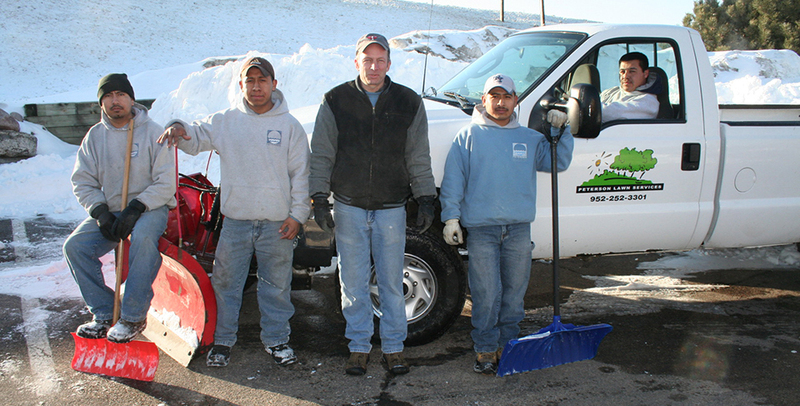 Our plowing service is affordable and we charge a flat, monthly rate that is calculated based on the size of your driveway. This makes budgeting for our plowing service very easy to do. Whether we plow 8 times in February or 3 times in March, your rate is always the same. Sometimes customers wonder what happens if it never snows, but this is Minnesota we’re talking about, and in Minnesota we average 50 inches of snow per winter season — with 2013-14 being one of our snowiest seasons on record.